Asserting that the opposition Saint Lucia Labour Party (SLP) understands and supports tourism, opposition leader, Philip J. Pierre, Thursday declared that the benefits of the industry must accrue to as many persons as possible. “You cannot have a tourism industry where the numbers are increasing and the vendors are complaining,” Pierre remarked. The opposition leader observed that it was a labour administration that bore the brunt of the transition of the economy from agriculture to services. “We understand tourism and we support tourism,” the former Tourism Minister told Radio 100’s Andre Paul during a live interview on the station. 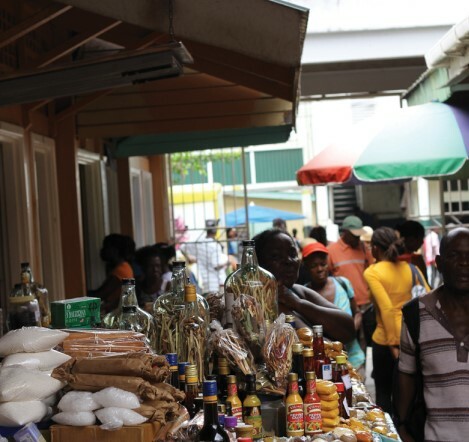 “We were the government that made the point that the benefits of tourism should accrue to as many people as possible,” he declared, adding that it was an SLP administration that began the programmes for hostesses, to get young people to meet visitors to Saint Lucia at the Island’s ports of entry and show them the country. Pierre also observed that it was he who opened the lookout point on the Morne and an SLP administration that introduced two lookout points in Dennery. “We understand the matter of tourism,” the SLP leader told Andre Paul, declaring that the SLP started the most tourism investment here between 2001 and 2006. “I was the minister,” Pierre recalled. “We believe that tourism must benefit the majority of people in the country,” he explained. Jack and Bob are you all among the jackass the Pm spoke about. Please read the article again. I keep telling you all stop being color blind. Support truth at all times. Don’t hate the messenger because of the message.